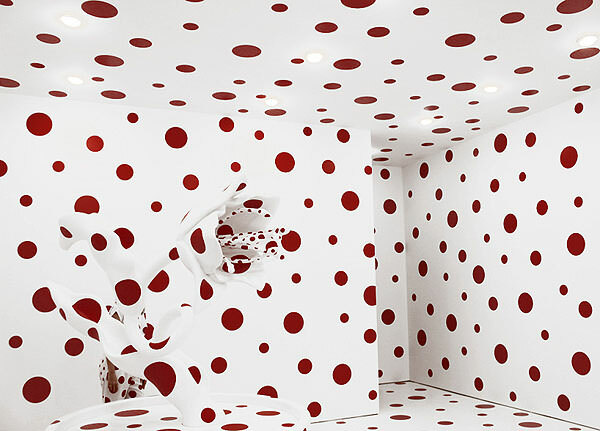 David Zwirner galleries in New York present Festival of Life, a major exhibition of new and recent work by celebrated Japanese artist Yayoi Kusama, fresh off her blockbuster showing in D.C. 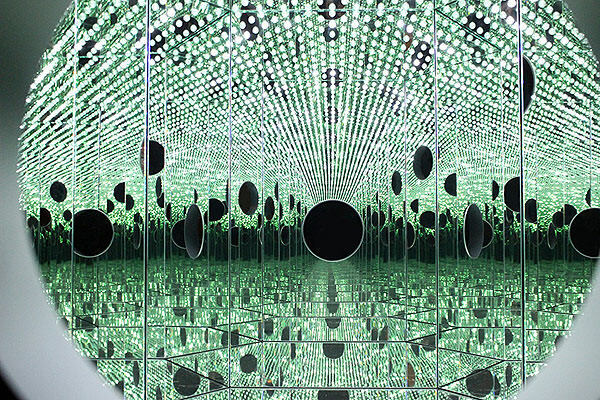 While no gourds or pumpkins are featured, plenty of the artist's other signatures are, most notably two Infinity Mirror Rooms. 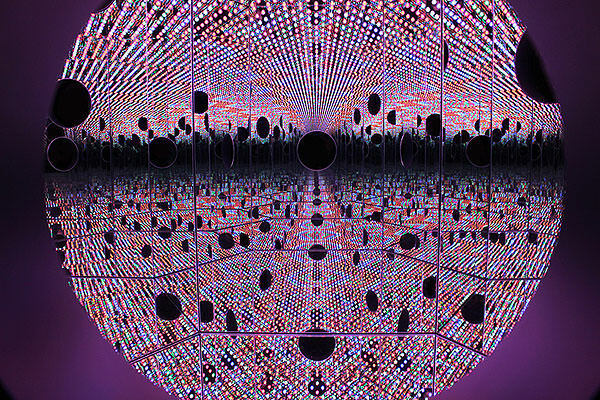 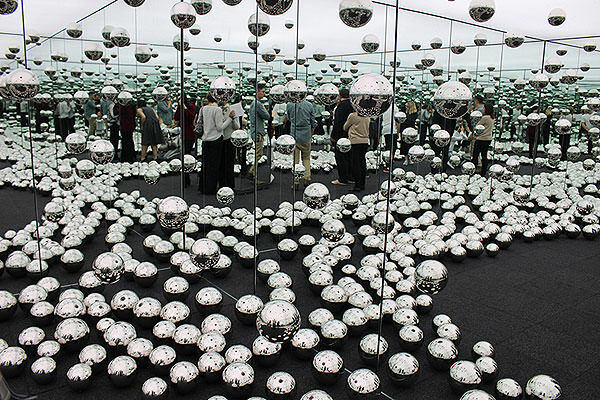 One of them invites viewers to look inside through a peephole, while the other is experienced from within, where stainless steel balls create the illusion of infinity through endless reflections. 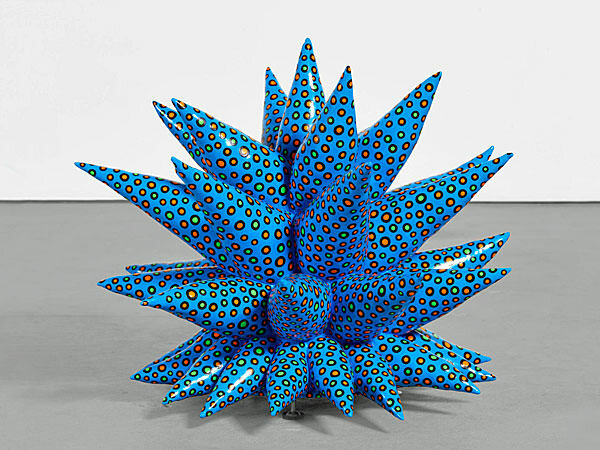 The exhibit also showcases a sculptural installation from Kusama’s 2011 Tulip series, presented for the first time in the U.S. 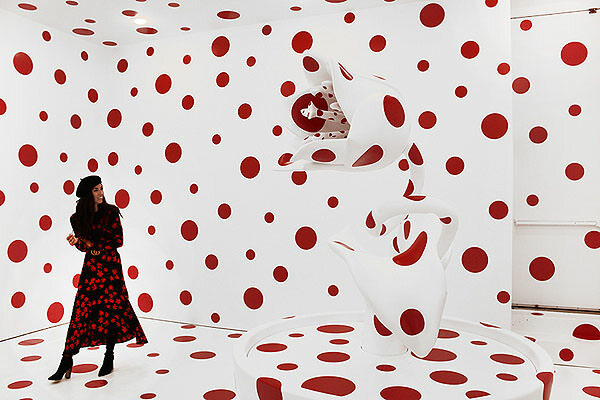 The oversized potted flowers are made using fiberglass-reinforced plastic and painted with the same red polka dots as the floor, ceiling and walls, creating an all-enveloping sensory experience while diminishing a sense of depth. 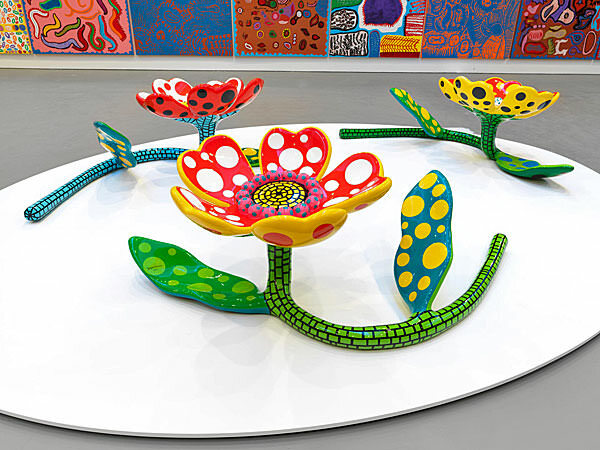 In the third space, large-scale paintings from the artist’s My Eternal Soul series have been arranged in a grid on all four walls, centered around new steel sculptures of colorful flowers. 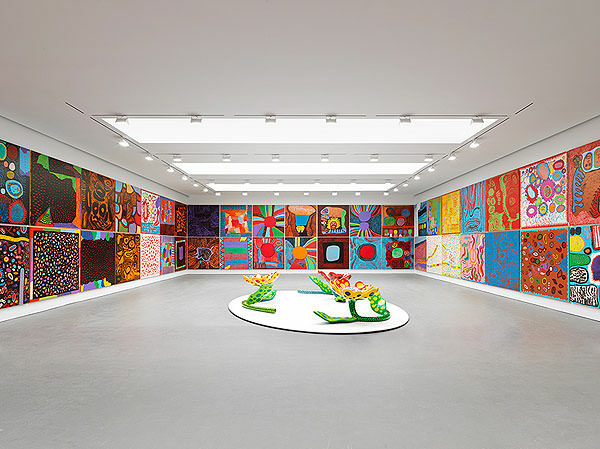 A concurrent exhibition has also opened at the gallery's East 69th Street location, where Infinity Nets paintings from her 1950s series will also be on view.